As well as offering a fascinating glimpse into the history of Scotch, the region has golden beaches, deep pine forests, abundant wildlife and snow-capped hills. The Malt Whisky Trail ranges from boutique to global brands and visitors will meet the craftspeople who are the guardians of more than 250 years of knowledge about the Scotch industry, from its early days of illegal stills nestled high in the hills, to the early pioneers of legal distilling who took a gamble and sold their fine whiskies all over the world. During tours of distilleries you will nose whisky straight from the cask, feel the heat of the copper stills and soak in the atmosphere of the many bonded warehouses. 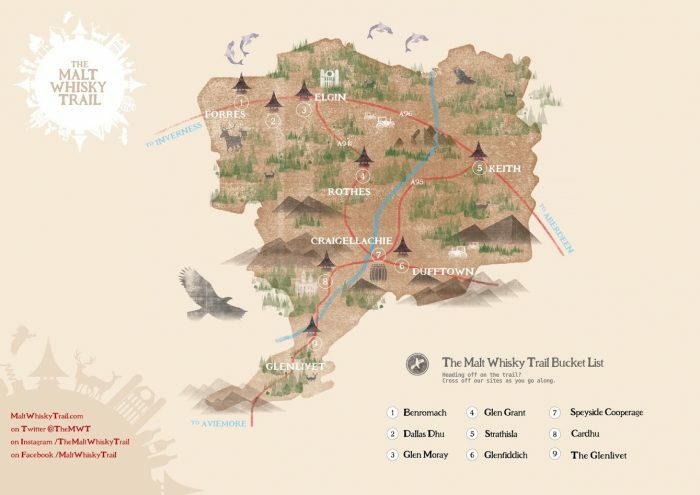 There is plenty to do for both whisky lovers and those who want to see an unspoiled corner of Scotland. Established in 1898, Benromach distillery is independently owned by a family with proud, enduring roots in Speyside. After being mothballed, Gordon and MacPhail brought the distillery back to life 20 years ago. 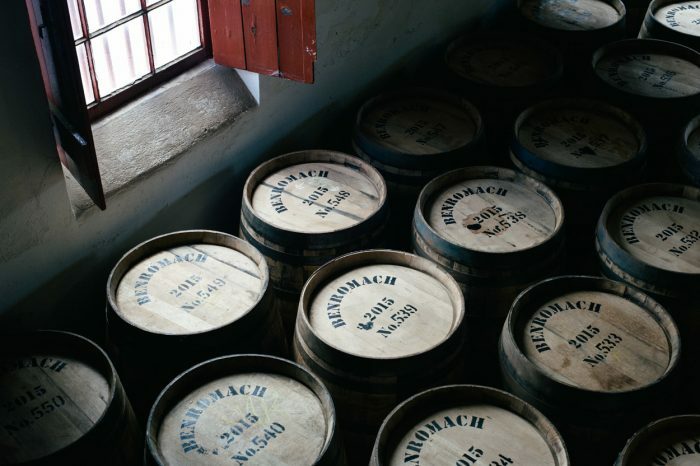 At Benromach their Single Malt Scotch Whisky is handcrafted and made slowly, the time-honoured way. Using the finest natural ingredients 3 distillers orchestrate every second of the distillation process by sight, sound, touch and smell. Profile Our distillery has been making Benromach since 1898 using the same spring water rising in nearby Romach Hills. Come and see our distillers at work as they orchestrate every second of the production by sight, sound and touch. Frequency: Classic tours available daily at regular intervals. Please see above for full information on tour frequency. Translation: Translated information sheets available. Please enquire with your language requirements. Extra information: Please check our website for our seasonal opening hours. We close our doors and take it easy over Christmas and Hogmanay. Profile Dallas Dhu is typical of the many small distilleries built around 1900 to help quench the growing thirst for whisky, Scotland’s national drink. 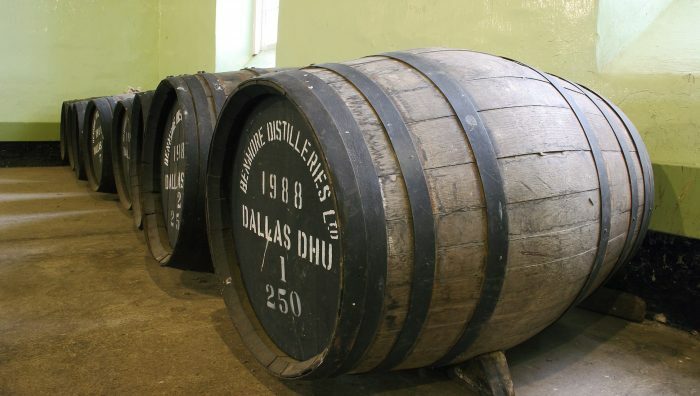 Dallas Dhu remains a well-preserved time capsule of the distiller’s art. A small, friendly and informal distillery distilling since 1897, Glen Moray is in the heart of Elgin, the historic capital of Speyside. At the Glen Moray distillery, discover the reality of malt whisky distilling with our knowledgeable guides taking you through the processes and helping you discover our range of single malt whiskies. Profile A small, friendly and informal distillery, Glen Moray is in the heart of Elgin, the historic capital of Speyside. Join us for a tour at Glen Moray where we have been distilling since 1897. Min - Max capacity: Max 15 for scheduled tours arger groups can be accommodated with advance booking. Private tours: Yes - by appointment only. Translation: Written translations are available in 15+ languages. Extra information: No charge for under 18’s joining the tour. 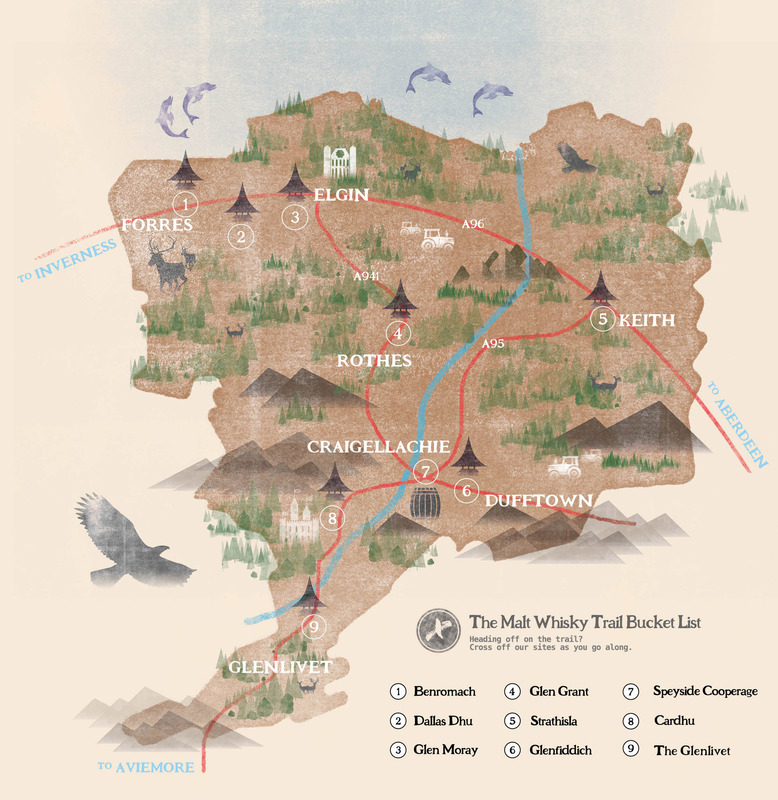 Enjoy a wonderful and memorable day out at Glen Grant, tour the distillery and Victorian Woodland Garden, enjoy a coffee with local homebakes in the Coffee Shop (April-October), and for those too young to tour the distillery, take part in the animal trail. Profile Enjoy a wonderful and memorable day out at Glen Grant, tour the distillery and Victorian Woodland Garden, enjoy a coffee with local homebakes in the Coffee Shop (April-October), and for those too young to tour the distillery, take part in the animal trail. Extra information: Children under the age of 8 are not permitted in the distillery. Strathisla Distillery was built in 1786 on the banks of the river Isla, making it the oldest continually operating distillery on the Malt Whisky Trail. Today, Strathisla is one of the oldest continuously operating on the Malt Whisky Trail, and is also considered to be one of the most picturesque distilleries in Scotland. 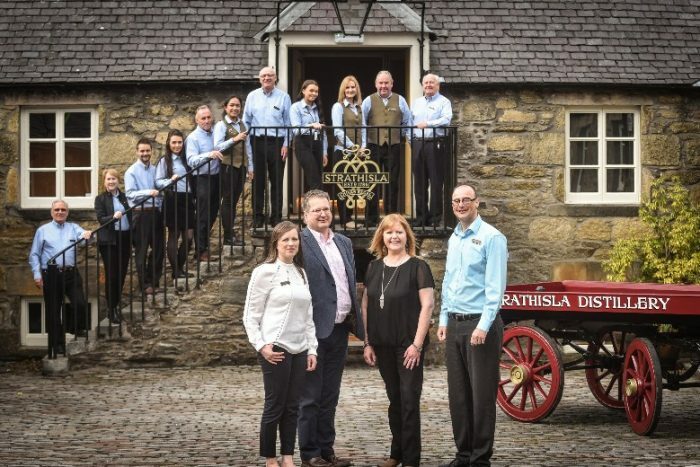 Whisky enthusiasts and newcomers alike will delight in Strathisla tours – which are a sensory experience, both memorable and informative – created in a beautiful riverside distillery now in its two hundred and thirty second year of Scottish Highlands’ history. FIT or Groups: No special rates for FIT or Groups. Translation: Paper translations explaining how whisky is produced available in: German, French, Dutch, Italian, Spanish and Madarin. Extra information: Under 18 years old are not allowed on production areas therefore not allowed on any of the experiences but are welcome in the Brand Home under adult supervision at all times. The name is Scots Gaelic for ‘Valley of the Deer’. The distillery was founded in 1886 by William Grant who built it by hand with his 9 children and a stonemason. It is now home to the world’s most awarded single malt. Profile We are proud to be one of the last family run distilleries in Scotland, with the freedom to maintain our tradition of innovation with a pioneering spirit. Translation: Our guides are a wealth of knowledge and they're multilingual. So please let us know if you'd like your tour in a specific language and we'll do our best to accommodate you. In the heart of Speyside Malt Whisky Trail lies the Speyside Cooperage, the only working cooperage in the UK where your clients can experience the ancient art of coopering. The Speyside Cooperage is at the epicentre of the whisky industry’s cask manufacturing and management. The centre received casks from all around the world, which in turn make their way to distilleries across Scotland. Each year they make and repair over 100,000 casks – barrels, hogsheads, butts and puncheons. Profile In the heart of Speyside Malt Whisky Trail lies the Speyside Cooperage, the only working cooperage in the UK where your clients can experience the ancient art of coopering. Cardhu Distillery nestles in a picturesque setting in the heart of Speyside. 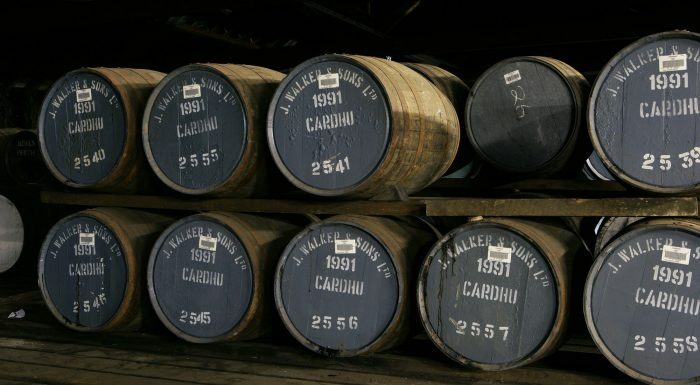 The only distillery started by a women, Cardhu really does stand out with its unique history, and the product it makes. The light character of the 12yr old Cardhu is an excellent starting point for anyone starting on their whisky journey and the new additions to the family the Cardhu 15 and 18yr offer flavours for those for that are looking for something a little more complex. Cardhu is also home to the world-famous Johnnie Walker blend, and visitors to the distillery can experience both the history of the single malt, and the story of the renowned blend. Cardhu distillery offers guided tours, tutored tastings, and features an extensive shop and brand centre. Let Cardhu give you a warm Speyside welcome. Today, The Glenlivet is enjoyed the world over, and is one of Scotland’s best-selling whisky brands. Each year the picturesque distillery welcomes visitors from all over the world, who come to discover the secret of George Smith’s famous craft. Profile The Glenlivet Distillery sits in a wild and remote glen, its history laced with drama and intrigue. So in every bottle of whisky we make, we capture as much of the spirit of the glen as we can. Translation: Audio headsets available in French, German, Italian and Spanish subject to availability. An area steeped in 10,000 years of history and heritage, Loch Ness, Inverness and Moray Speyside provide a stunning backdrop for a region which is home to heritage sites and distilleries.